We offer a highly acceptable range of Football Sports Apparel that are made in our state-of-the-art facilities and are quality-tested ion different quality parameters. These are a wonderful tool for brand promotion and are primarily used for sports related activities. We offer have gained huge appreciation in the market for their host of qualitative features. 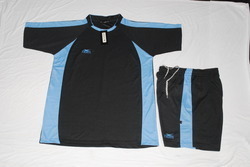 These Football Wear are used by various players of different ages. We offer these in different sizes and can also be customized as requested by the clients. Price varies from Rs 100/- to Rs 1500/- based on the quality. quantity and specification of the products. 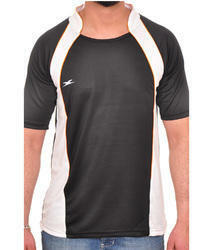 These are comfortable to wear, durable, easy to maintain and available at economical prices. 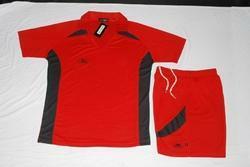 These can also be customized based on color, size, design and other specifications provided by the clients’.